I really enjoyed reading about all your summer adventures! Hitting up great parks is always more fun with a group of friends. Looks like you had nice weather which is always a bonus. Glowfest Phoenix must have been amazing!! ^ It definitely was the most memorable ERT experience that I've ever had. There's nothing like riding a classic wooden coaster while wielding a lightsaber. All good things must come to an end and New York City marked the final leg of the trip. 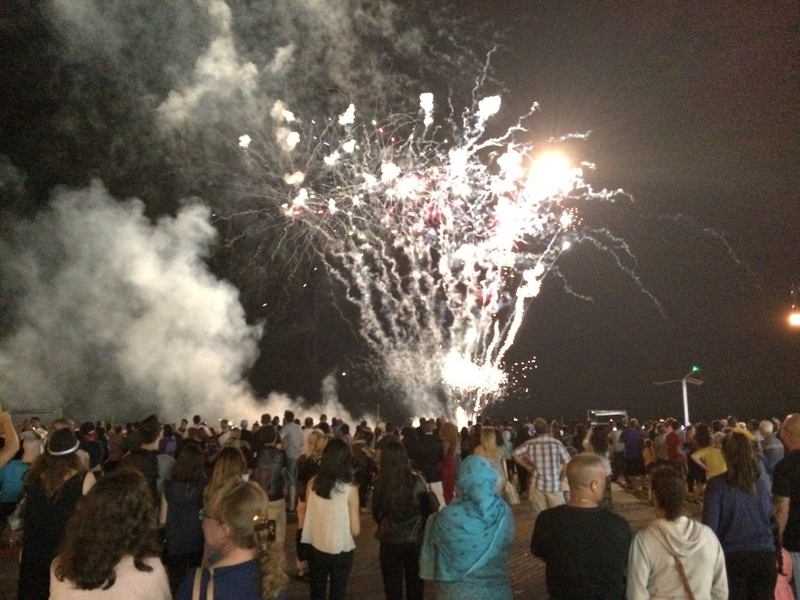 I ended with a bang (not that kind, get your mind out of the gutter) at Coney Island. I had been there twice. 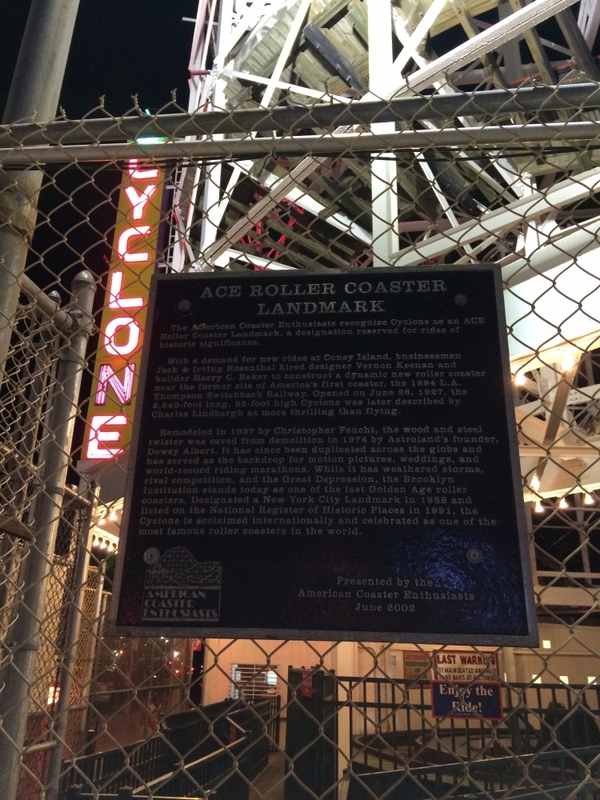 My first visit was when I visited an old girlfriend four years ago and I was only able to ride the Cyclone and Wonder Wheel. I returned last spring for a job interview in NYC. Unfortunately all of the rides were closed, but I was able to get some great photos since the entire area was deserted. For my third visit to Coney Island, I was there with coaster nerds so I could get all of the credits. 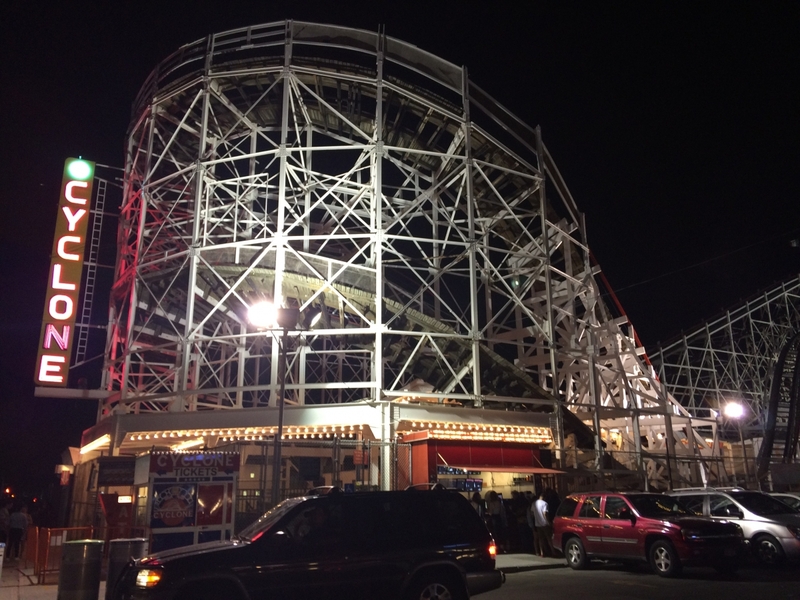 The Cyclone always has been and always will be the star of Coney Island. Everything about the ride matches Coney Island, rough around the edges but incredibly fun and unique. I got two rides in the back and that really is the place to ride this classic. Every single drop gives incredible ejector air and it's augmented by the lap bar only trains. The first drop is particularly insane thanks to the suddenness and the whip from the long, heavy train. The ride is mostly smooth. The last two turnarounds get pretty bumpy, but the train has plenty of padding to absorb the shock. 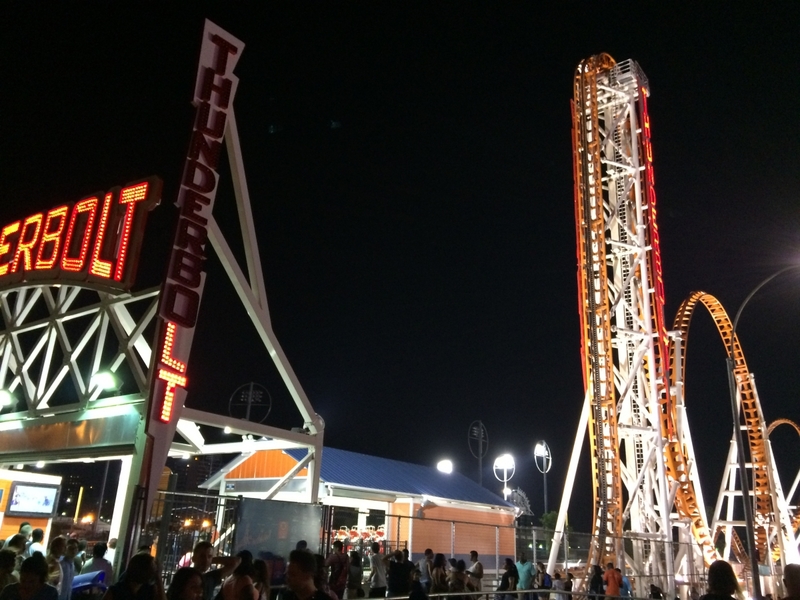 I was also able to get my first ride on the Thunderbolt. I've seen much hate towards this ride, but I absolutely loved it as did the other two guys I rode with. The other guys on the tour who rode the following day absolutely hated it, so maybe it depends on how the restraints fit since they are weird (think of a panini press). I found them a bit uncomfortable, but I didn't notice it while the ride was in motion. The trains also have 3 across seating which is just odd to see. As for the ride, I found it perfectly smooth with the exception of a really bad shuffle at the top of the vertical loop. The rest of the ride had some outstanding ejector air. The return hops particularly stand out and are among the most powerful airtime I've experienced. I'd love to see more of these built and the ride could only improve with better restraints. I also grabbed the rest of the credits on Coney Island. I already had the Tickler from my last trip, but added the Soarin' Eagle volare (which I really enjoyed and found smooth, another unpopular opinion), the Steeplechase, and the kiddie coasters at Luna and Deno's. I can't believe the Deno's one had an on-ride photo and I considered buying it to immortalize my dirty dirty face riding it. 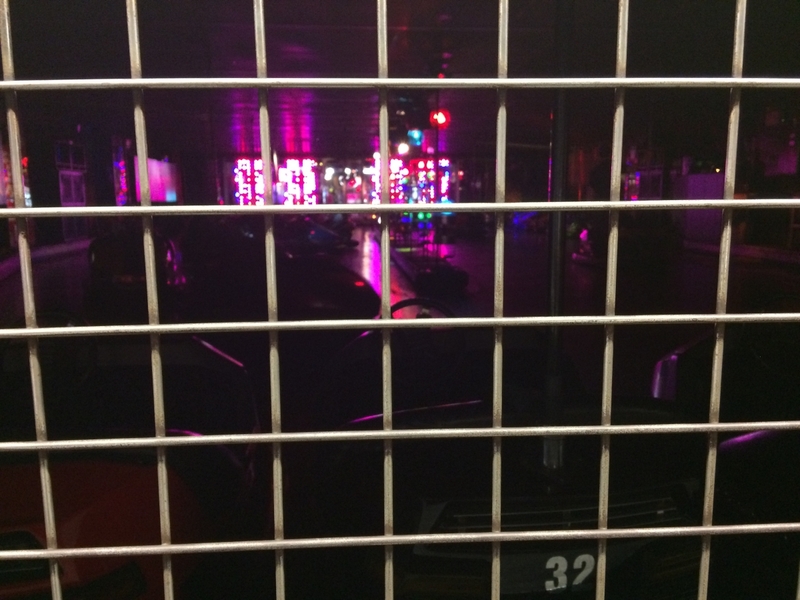 I also rode two other classics in the Wonder Wheel and Spook-a-rama. The Wonder Wheel was as scary as ever and also provides great views of Coney Island. I really have to applaud Zamperla for the job they did breathing life back into the area. 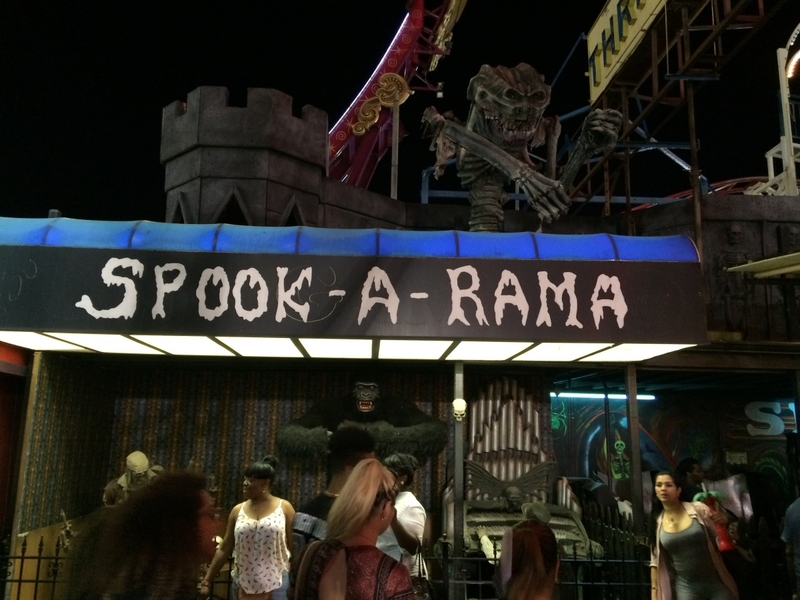 Then Spook-a-rama was a very well done haunted house with some genuinely scary gags. I also tried the Air Race and would love to see one of those crazy flats at a park in New England like Canobie or Funtown. 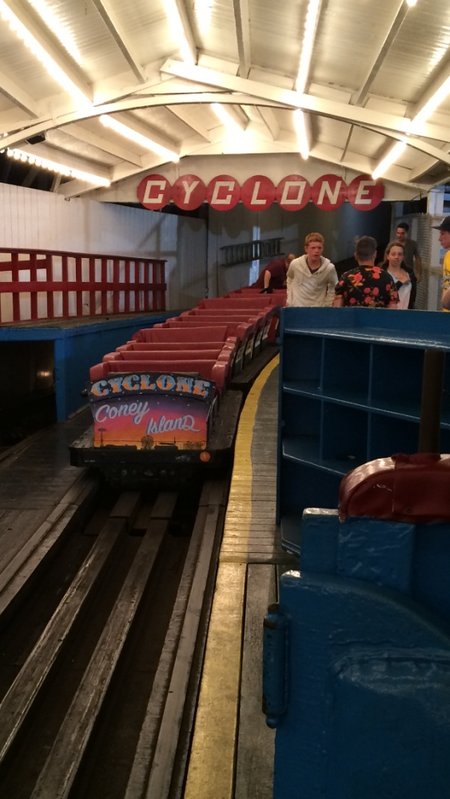 The ride, the myth, the legend, the Coney Island Cyclone! 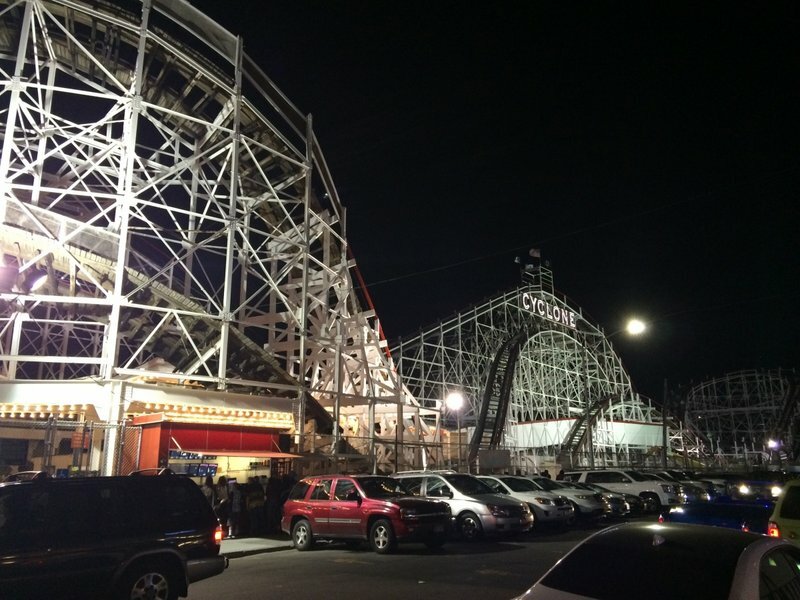 The Cyclone is still a top 5 wooden coaster for me. The drops give insane ejector air in the back and the ride is smooth until the final turns. The trains are so cushiony. The new kid on the block was a lot of fun too! I didn't find the ride painful and those returning bunny hills have some of the top airtime anywhere. I still wish I could have experienced the old Steeplechase, but this is a decent consolation. 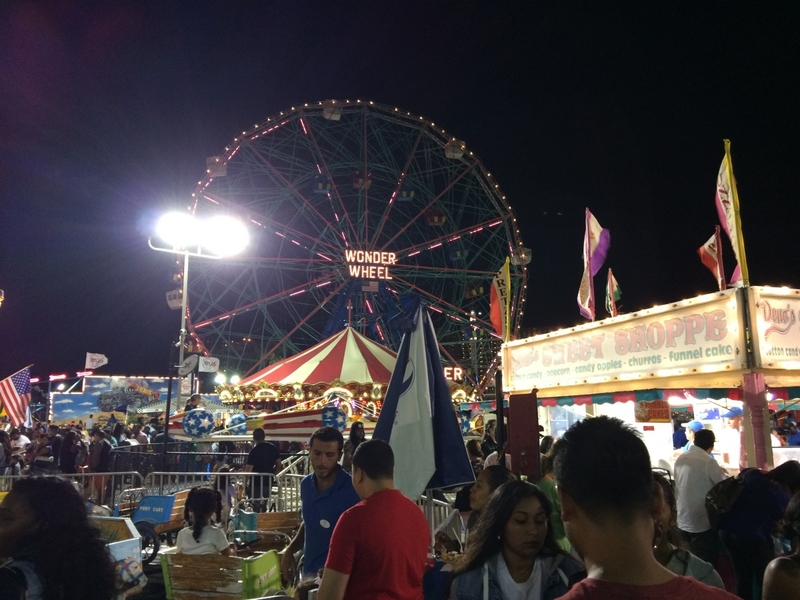 Deno's and the legendary Wonder Wheel are wedged between Zamperla Land. What a simple but effective haunted house. Some of the gags really made me jump. 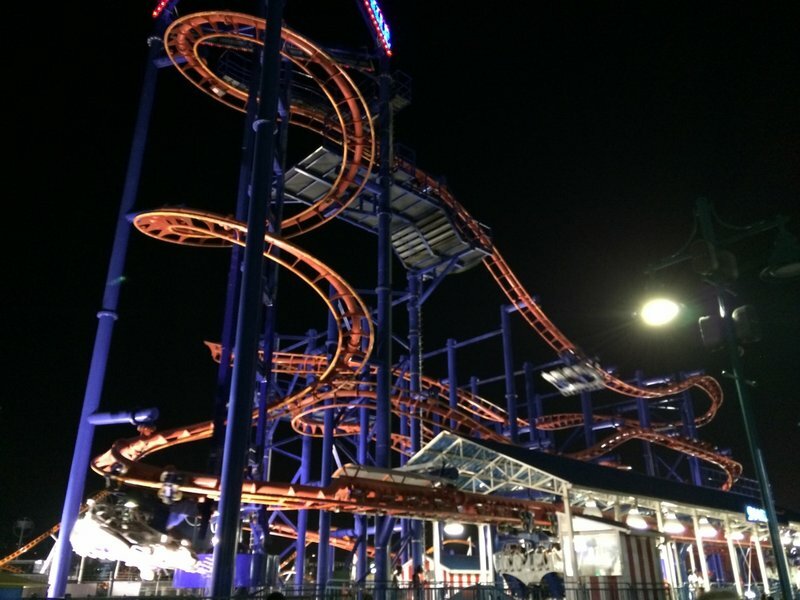 I never got to experience Astroland, but I have to say Zamperla did an amazing job and Coney Island was absolutely buzzing at 10-11 pm. These may have been a contributing factor. I was tempted, but unfortunately they were closed by the time I got all of the coasters. Not this time. I tried Nathan's a few years ago and thought they were just ok. I don't know how Chestnut can eat 50 of these greasy wieners in one sitting. 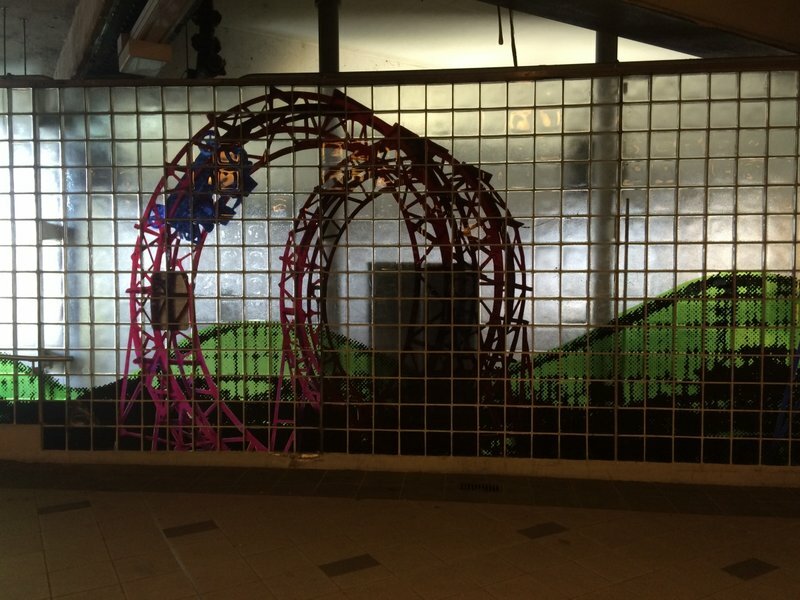 Every subway needs art like this. 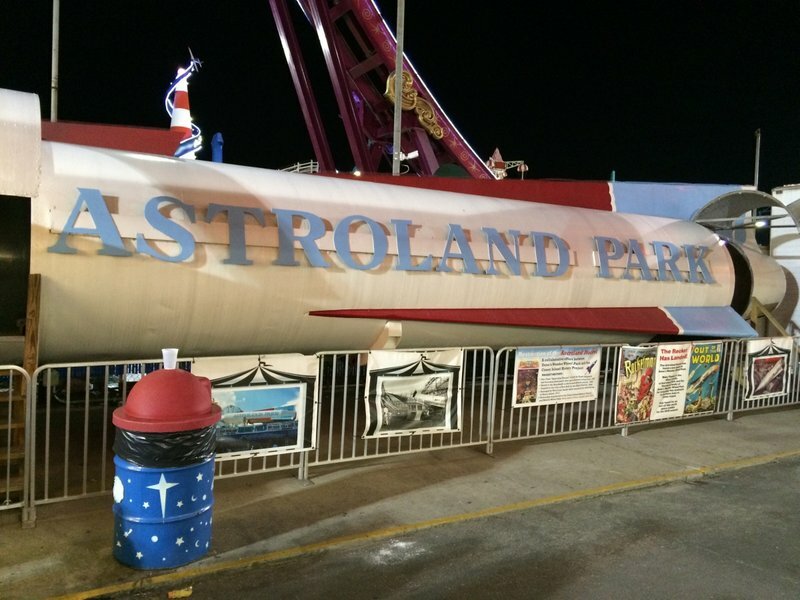 Astroland was honestly an utter sh*thole. 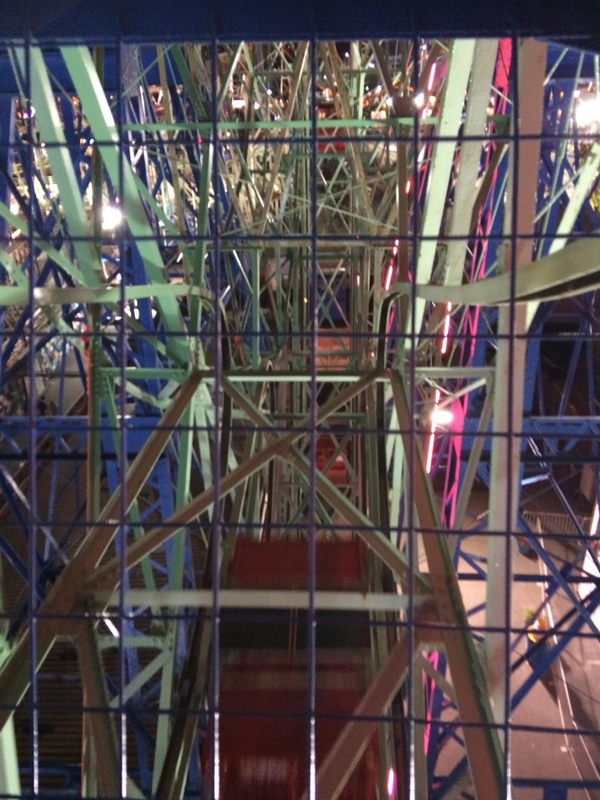 What Zamperla did for Coney Island is nothing short of extraordinary. 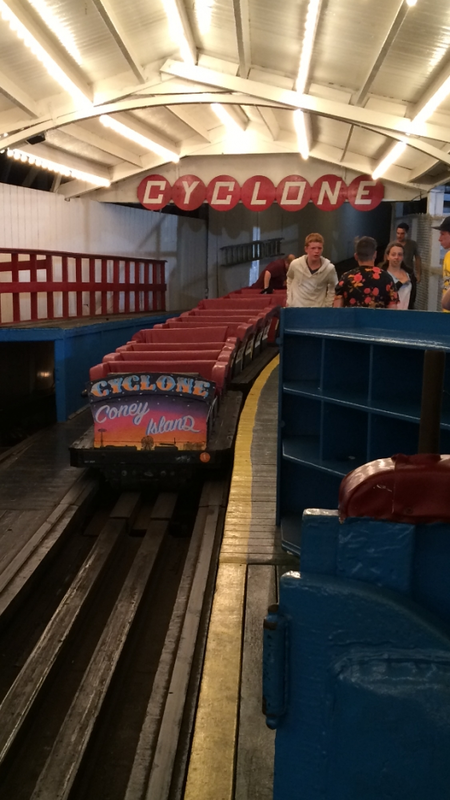 We visited a few months ago for the first time in almost ten years and were blown away, and the Cyclone is running really well too (which was not always the case in the Astroland days). 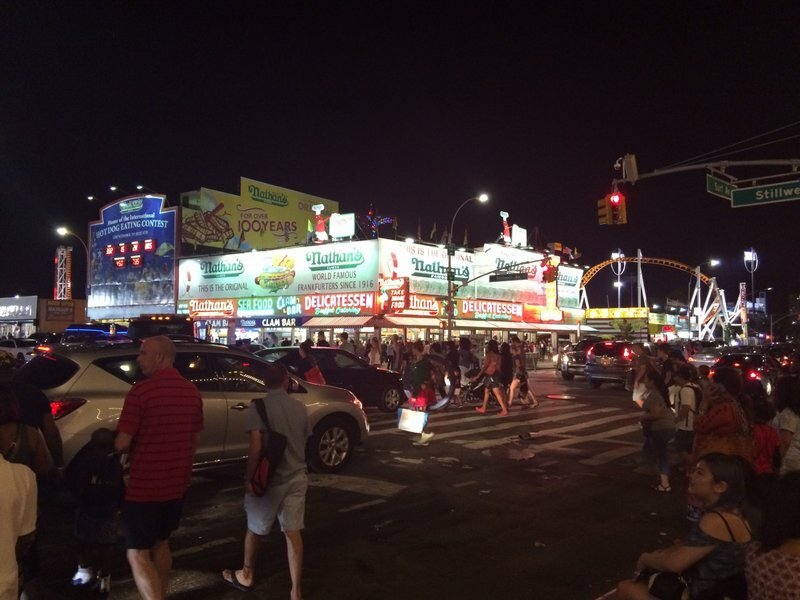 My opinion of Coney Island has completely shifted in the last few years. Last edited by coasterbill on Fri Dec 09, 2016 8:30 am. I kind of wish I got to experience Coney back in the Astroland and Shoot the Freak days just to see how different it was. 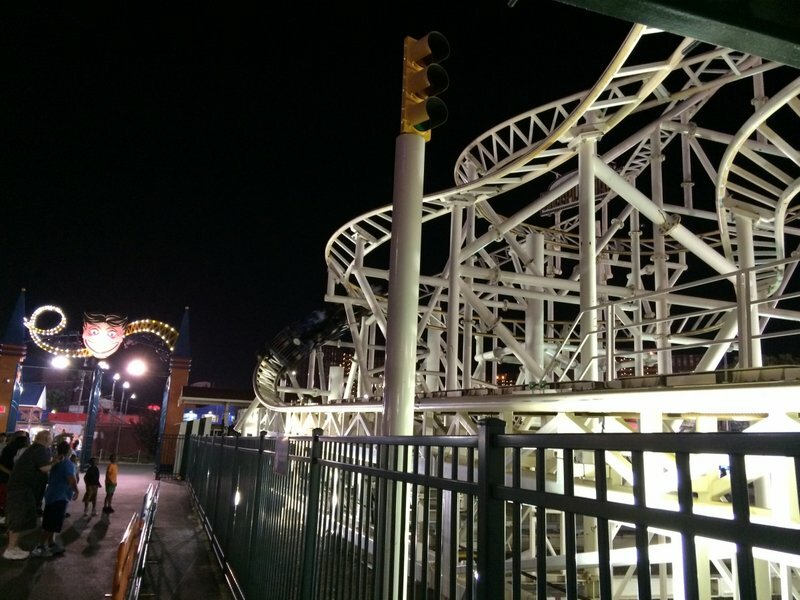 But what it is now is truly an amazing boardwalk with a great mix of classic and new rides.